The Youth Work ExcellenceAwards are an opportunity to recognise and celebrate outstanding youth work projects and youth workers from across Wales. Youth workprovides and facilitates an environment within which young people can relax, have fun, and feel secure, supported and valued.Through non-formal and informal educational opportunities and experiences youth workapproaches challenge young people to enhance their life chances. Youth Workin Wales: Principles and Purposes1 sets outthe key principles which underpin youth workin Wales. Itprovides an overviewof the nature, purposes and deliverymethods used in youth work practice. 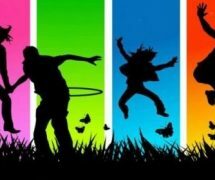 Youth work provision is open to all young people within the specified age range 11 to 25. * enable young people to develop holistically, working with them to facilitate their personal, social and educational development,to enable them to develop their voice, influence and place in societyandto reach their full potential. 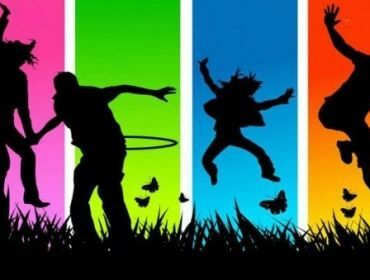 * The National Youth Work Strategy for Wales (2014-18)2 recognises that high-quality youth workhasa crucial role to play supporting many young people to achieve their full potential. Thestrategy sets out the characteristics thatarecritical to youth work practice. * You should consider the above before submitting your nomination; does the person or projectthatyou arenominating provide or facilitate ‘youth work’? This year there are 12 categories, 9 for projects, 2 for individuals and 1 for either a projectoran individual. Each youth organisation or Local authorityYouth Service can enter up to 2 projects, or 2individuals in each of the categories. * Outstanding youth workproject that promotes employability skills. * Outstanding youth workproject promoting cultures in Wales. * Outstanding youth work project which supports youngpeople’s engagementwith formal education. * Outstanding global citizenship youth work project. * Outstanding artsandmedia youth work project. * Outstanding youth workproject which promotes enterprise and innovation. * Outstanding young person led youth work project. 1 Youth Work in Wales: Principles and Purposes (WLGA, 2013) www.wlga.gov.uk/publications-andconsultations- responses-lll/youth-work-in-wales-principles-and-purposes. * Outstanding Contribution to Youth Work in Wales. (this can be anyone thathasmade a realdifference). * one for the ‘Making a Difference award’. * HD quality, with good quality audio. * Not filmed from a mobile phone or tablet. * MP4 or Quicktime (MOV) file format. Don’t worry if you are notable to provide your film in the aboveformat. Just submit a film with you nomination and if your nomination is shortlisted we’ll arrange the filming.